Hot on the heels of first single “I Call Your Name“ released digitally at the start of the year, American singer-songwriter Nicole Willis is back with another sneak peak into her upcoming album “My Soul Sensation” with Banda Palomita. Second single “Reparate” is a hypnotic, spaced-out disco number driven by tasty slap bass, seductive synths and chant-like vocals. Released digitally on February 1st via Nicole‘s own label Persephone Records, it paves the way for much-awaited new album “My Soul Sensation”, dropping at the end of the month. “My Soul Sensation” is a luscious collection of disco-tinged soul, jazz-funk, boogie & electro with Nicole‘s new backing band Banda Palomita, a formation of Finnish musicians Miss Willis hand-picked to accompany her live and in the studio. 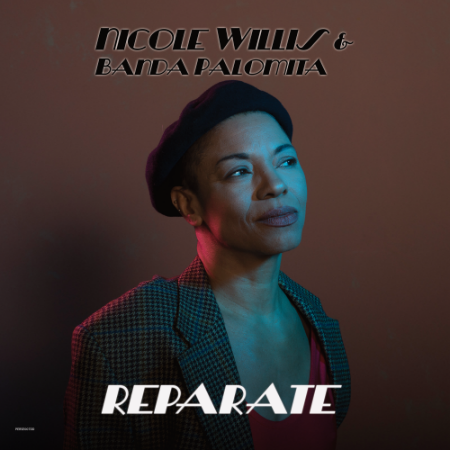 Scheduled to drop on February 22nd on LP and Digital download, the new album sees Nicole Willis take complete creative control, from writing the music and lyrics to recording, editing and mixing.